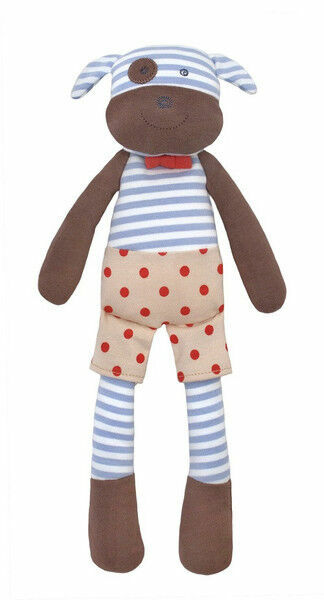 This adorable baby toy has a rattle in its head and hand stitched facial features. It is the perfect size for babies to hold and cuddle. Organic Farm Buddies are handmade using all natural materials, like 100% certified organic cotton, corn fiber filling, and dyes.